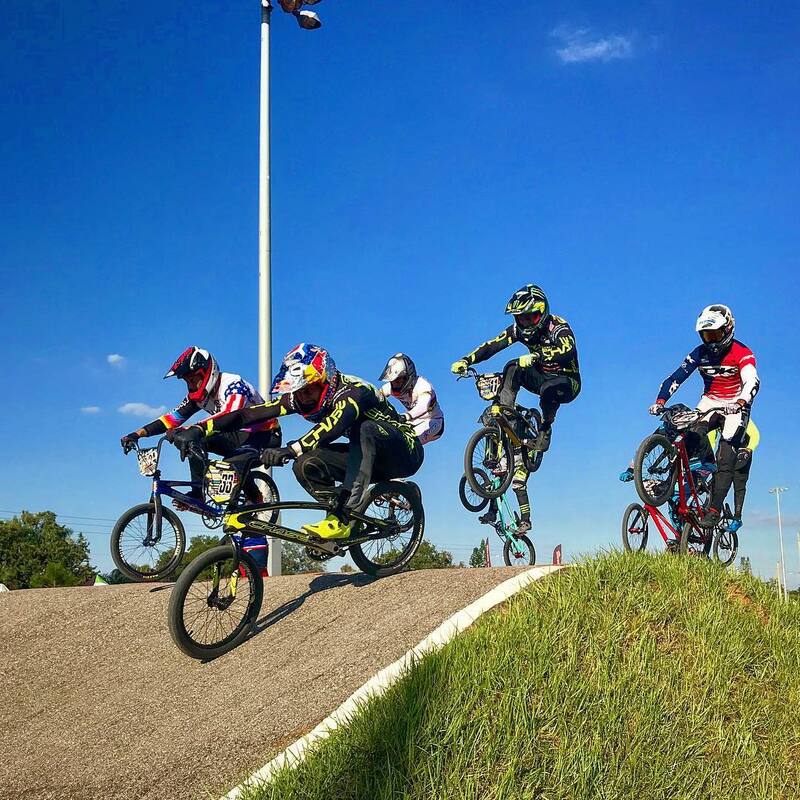 The USA BMX Pro Series season is quickly coming to a exciting end of the year, with just 2 stops left, but Sarasota Florida would give the fans some great racing action. 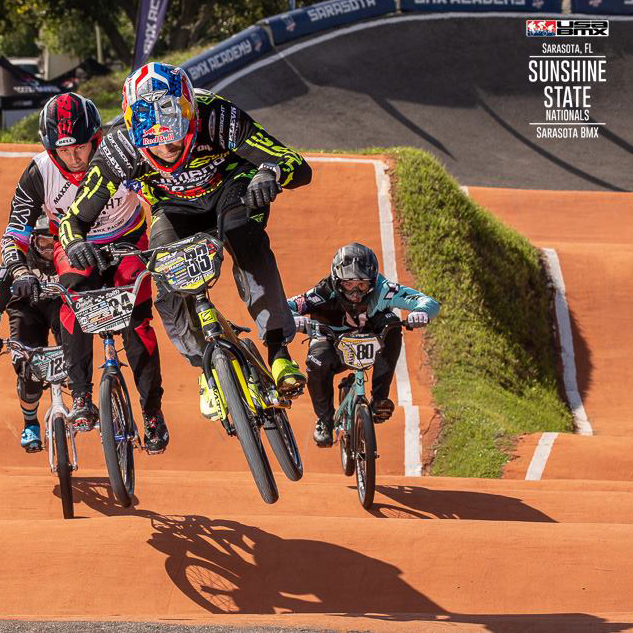 Held on the Supercross style BMX track, Sarasota has a lot of great history in the sport of BMX and the 2018 Sunshine State nationals would showcase one of the best BMX tracks in the USA and make for some incredible Pro racing. Joris Daudet and Connor Fields both travels to Florida with different agenda. 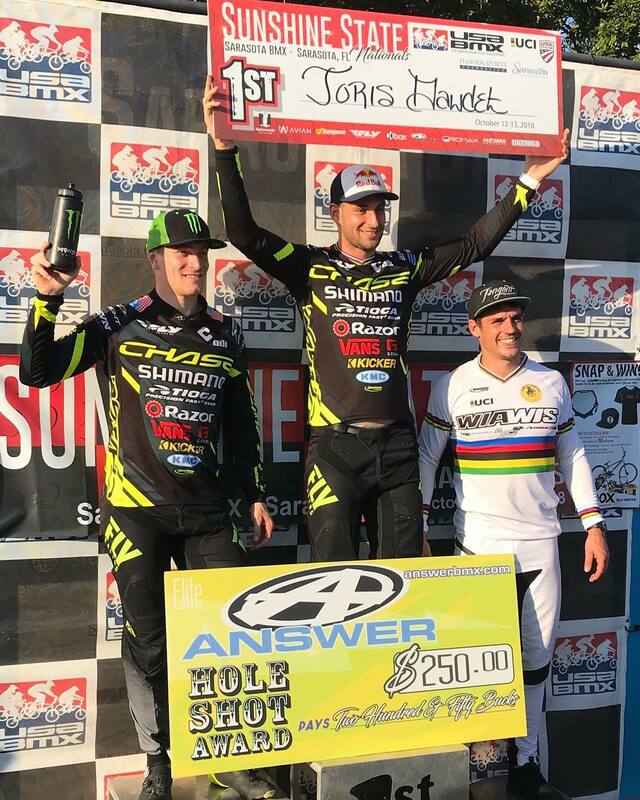 Joris, currently hold the USA BMX Pro title lead and was looking to extend his points gap and Connor Fields has had an up and down season, with an injury early had all about put him out of repeating as the USA BMX Champion, but he finally has felt 100% over the past month and was looking for redemption in the highest category in BMX racing. On Friday, 29 of the Worlds fastest Elite men lined up, looking to make their way into the final 8 and the main event in Sarasota. 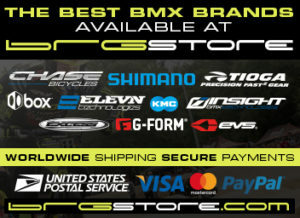 Both riders rode strong and made their way thru the qualification rounds. Joris would fight adversity to make the main event, as he unclipped in the semi final, but fought his way back to transfer into the main event, along with Connor. When the Gate slammed down for the final, it would be Connor who took the hole shot and he would never be challenged for the overall win. Joris was just off the podium with a 4th, but it wasn’t due to a lack of speed. A small bump and bobble in the first turn kept him from finishing in the top 3. On Saturday, the riders were back at it in Sarasota. 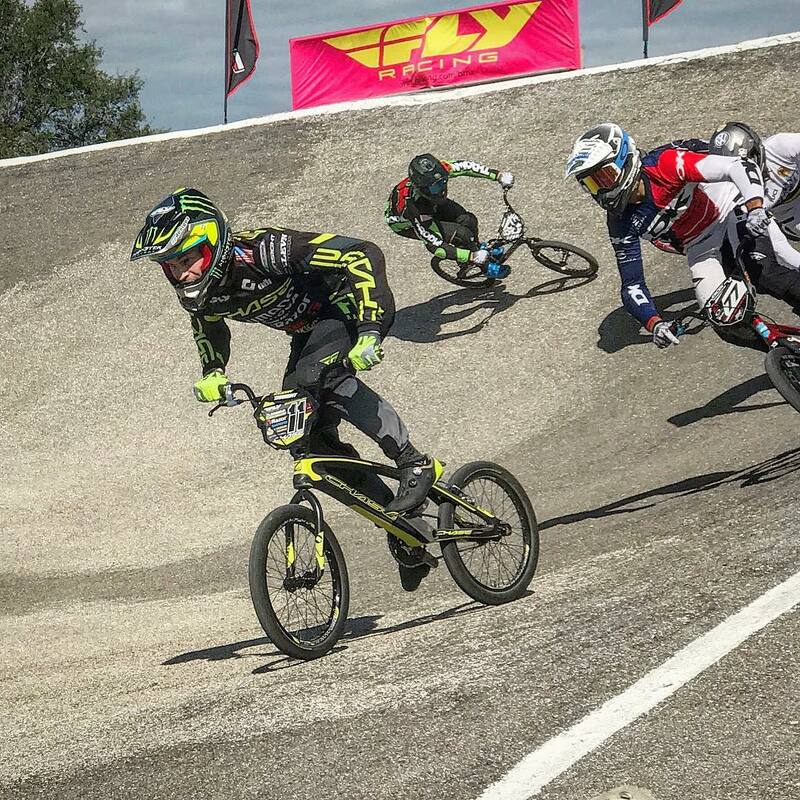 Joris went to Sarasota to extend his points lead in the USA BMX pro Title chase and the 4th on day 1 did not help. So on Saturday, his full focus was to first make the main event, then to win it. Well Joris was able to do just that, edging out team mate Connor Fields, as the two took the top 2 spots in the final. 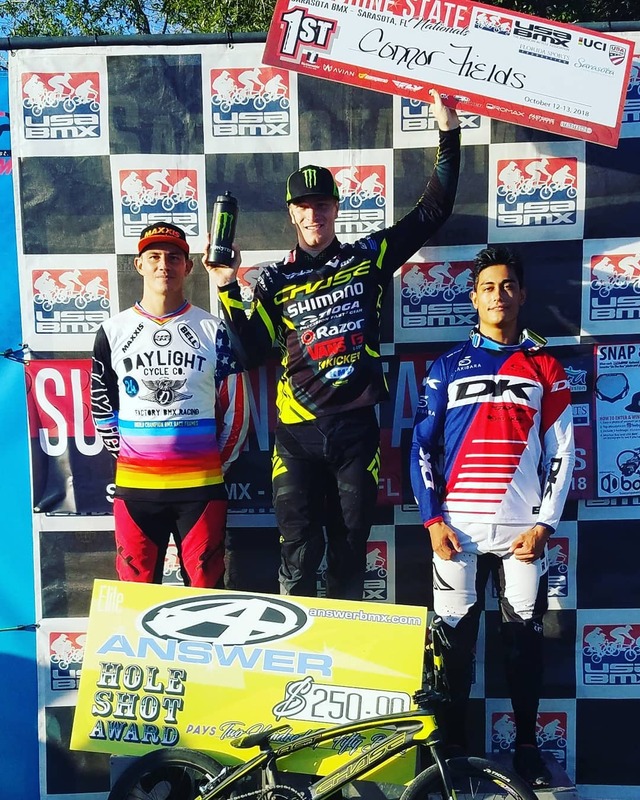 A great weekend for both riders and for Joris, this helps him as he looks to win his 3rd USA BMX #1 Pro title.